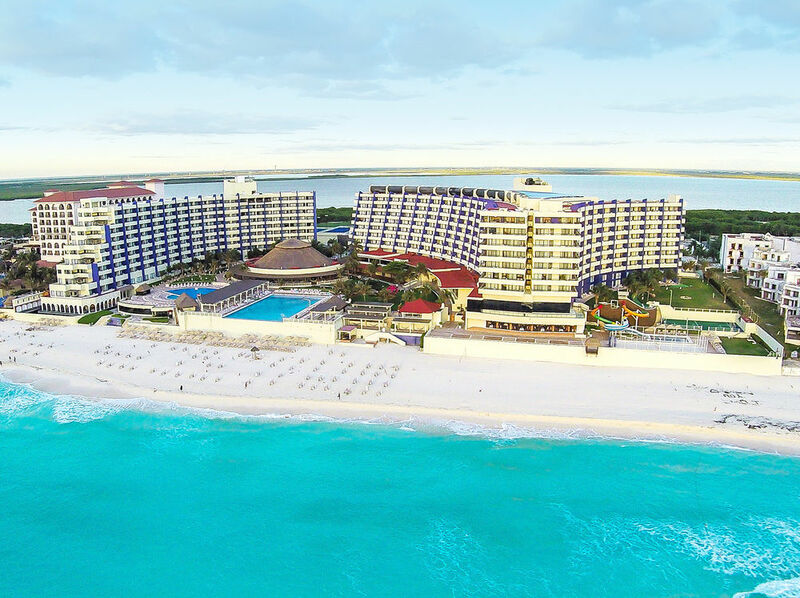 Enjoy unforgettable vacations in our All Inclusive Resort in Cancún, México If you are looking for unforgettable vacations, the Crown Paradise Club All Inclusive Resort in Cancún has everything you need. Begin with beautiful, year round, warm weather, fine white sand beaches and crystal clear turquoise water, modern facilities, special areas and activities for children and adults, included non-motorized water sports, family swimming pools, spa, varied services, a large gastronomic selection in a la carte specialty restaurants, domestic and international drinks, shows and night time entertainment; all this and much more ensure your vacations in Cancún will be unforgettable! 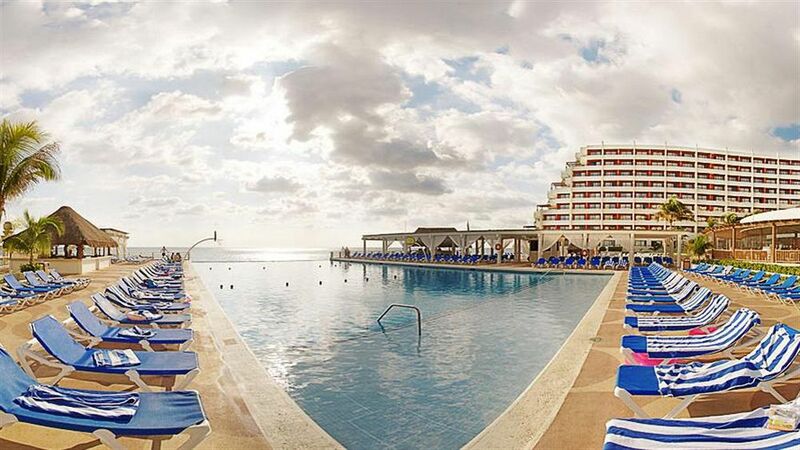 For those who choose Cancún for meetings, groups and conventions or weddings, the Crown Paradise Club offers 1,100 square meters of space for events, with a maximum capacity for 700 persons. Additionally we have a selection of wedding packages, or alternatively we can help you design the wedding of your dreams, even a wedding on the beach. 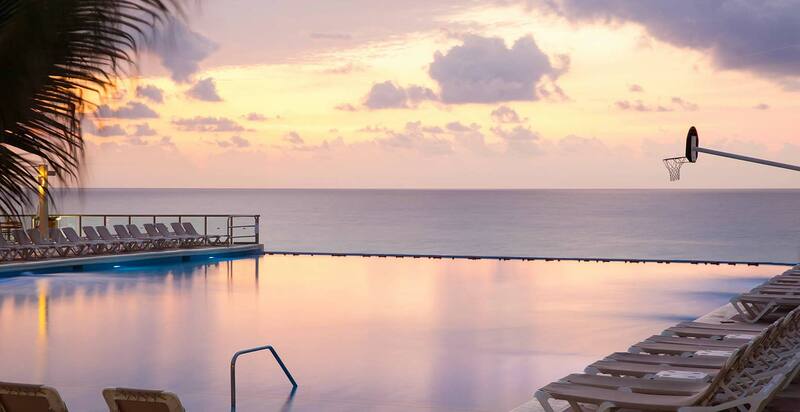 Whatever the moment you wish to create on your next vacations, the Crown Paradise Club All Inclusive Resort in Cancún, Mexico is the ideal place. 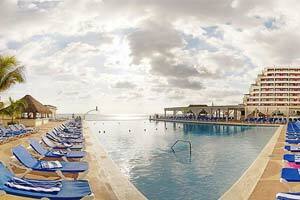 A Resort focused on fun for families, couples and friends. 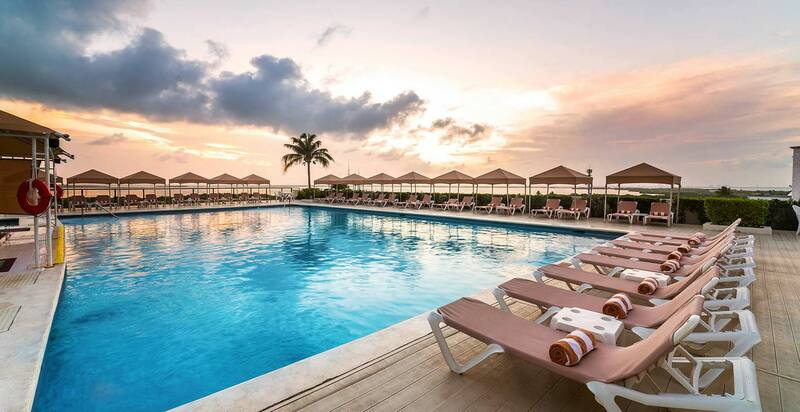 At the Crown Paradise Club All Inclusive Resort our guests are the focus of our attention, which is why our priority is to make sure their stay is full of fun and entertainment. The kids will love our water park, mini golf, water slides and games area. 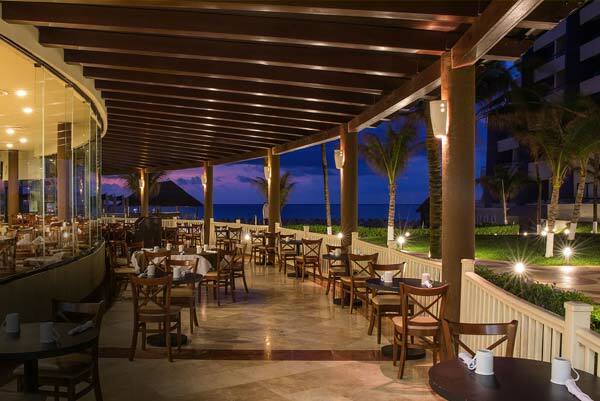 All the family can enjoy the excellent a la carte restaurants, with cuisines ranging from oriental to Mexican, French, Italian, steaks and seafood, as well as our buffet restaurant. 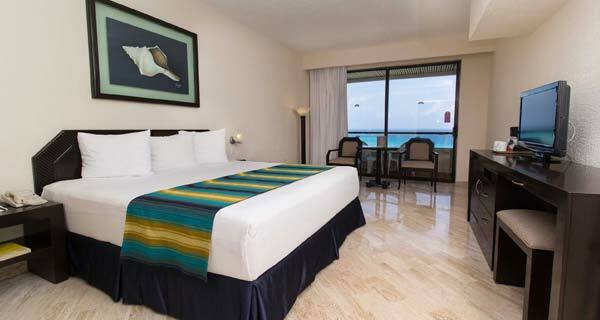 The Crown Paradise Club Cancun hotel offers accommodation with rooms specially designed for families. These “Family Rooms” have a king size bed and an adjoining area with a bunk bed for 3 children and its own television. 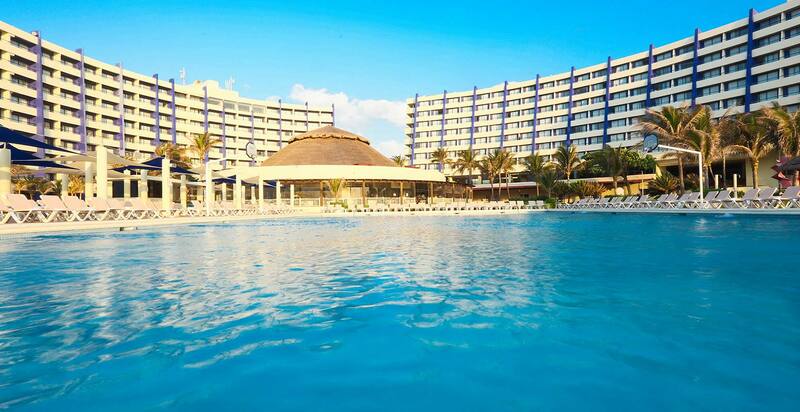 Crown Paradise Club Cancun Kids Paradise Club offers activities for children from 4 to 12 years of age, and our Baby Paradise Club for little ones from 18 months to 3 years, where our specialized staff will give them the service they deserve. 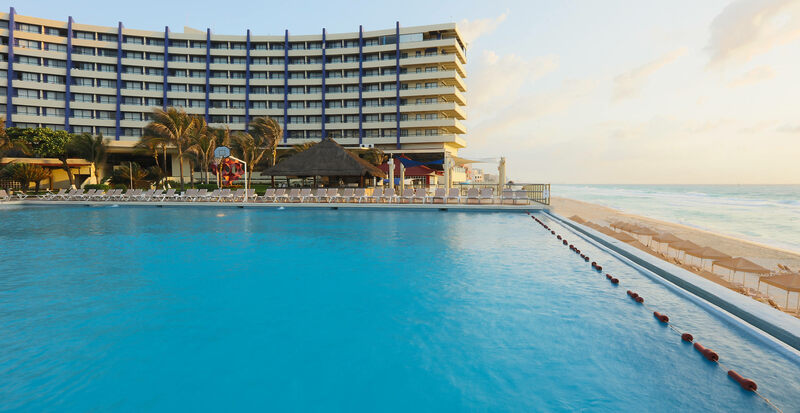 One of the main attractions at Crown Paradise Club Cancun is the fabulous Aquapark, with a pirate ship, water slides and a castle - it is a fantasy world for kids. 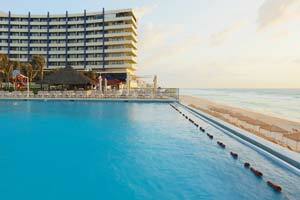 There is a wide range of activities in the pools and on the beach at Crown Paradise Club Cancun. 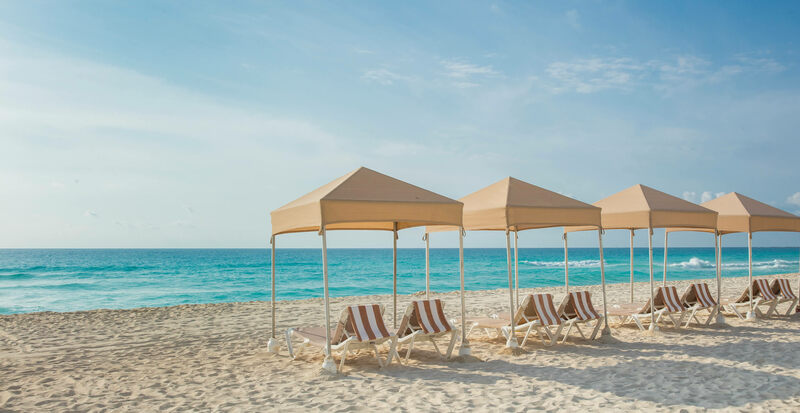 A great selection of specialty restaurants with gourmet cuisine, nightly shows and even the renowned drinks menu for the kids. This has all been designed to ensure you have the best vacations possible at Crown Paradise Club Cancun. The enyire family can enjoy the Crown Paradise Club Cancun all inclusive hotel in Cancun, Mexico. 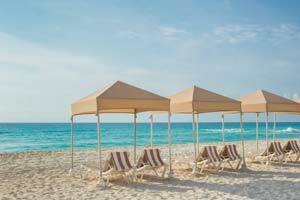 Crown Paradise Club Cancun offers 617 rooms and suites, all with ocean view and balcony. There are 336 standard rooms, 32 standard plus rooms, 24 family rooms, 113 special suites, 9 honeymoon suites with jacuzzi on the terrace and all the facilities you need to have an extremely pleasant stay during your vacation. 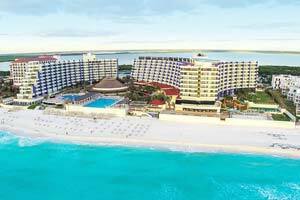 Crown Paradise Club Cancun all inclusive hotel is one of the most complete in its category, with many activities for all the family. Have fun and play at night on our two floodlit tennis courts and our multi-purpose court for basketball and football, or our beach volleyball court. 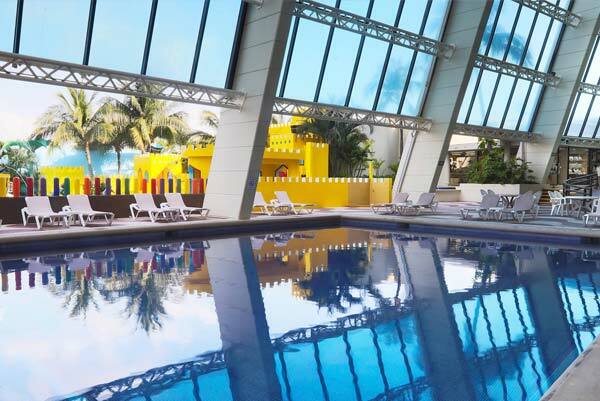 In the pool area you can enjoy water polo, aqua aerobics, and a scuba diving demonstration: there is also a gymnasium, ping pong tables, aerobics classes, mini golf, a water park for kids and another one for the family, the Collage games room and many more activities. You can enjoy pedal boats, yachts and kayaks at the Aquaworld marina located 5 minutes from the hotel. Looking after the little ones We offer a professional child care service that guarantees supervision of your children (babies and toddlers) while stimulating their imagination with exercises, games and open air workshops. Daily 9:00 a.m. to 5:00 p.m. and 6:00 p.m. to 9:30 p.m. Admission: 18 months to 3 years. After 5:00 p.m. and 9:30 p.m. a childcare rate will apply. Unlimited Fun! Our Aquapark is designed for kids up to 12 years of age. It has a pirate ship, castle with 9 water slides and several spurting water fountains, guaranteeing hours of laughter, fun and lots of splashing! We also have a selection of special areas where your kids can have a great time. One of these is for the more adventurous, with slides and a hanging bridge where they will have the time of their lives. Maximum energy Traditional water polo, beach volleyball and basketball are just some of the activities teens can enjoy in our hotel. We also have an area for video games and non-motorized water sports to make sure they feel more than enough adrenaline and lots of fun.